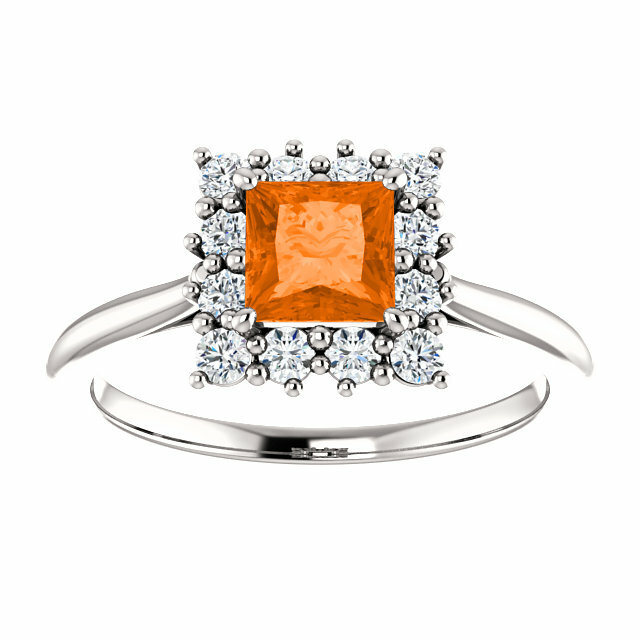 The fun, vivid colors of this orange-poppy topaz gem from Swarovski gems is what makes this sterling silver gemstone ring so unique and alluring. Using all real precious metals and gems, we spare no expense in creating this beautiful halo ring from Apples of Gold Jewelry. 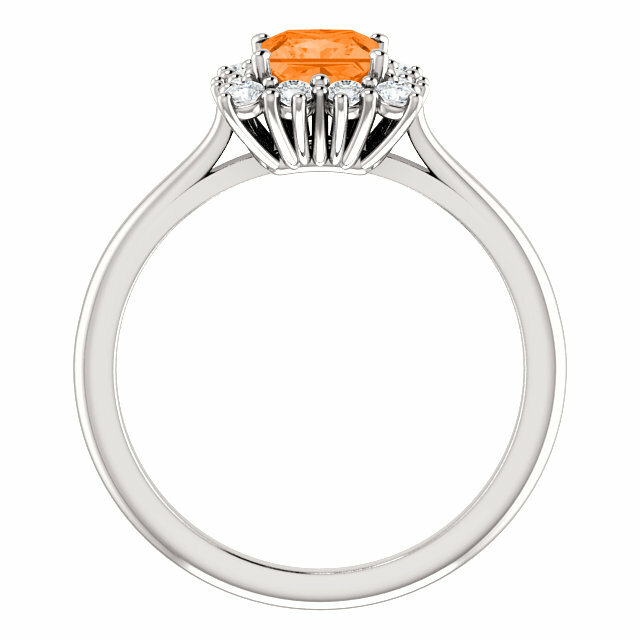 Even the white halo stones are genuine white topaz stones and the ring is crafted in .925 sterling silver. The center gemstone is an AA rated 5mm princess-cut London Blue Topaz. This ring is available in women's sizes 4.5 - 9 and is also available in 14k white gold (shown below). You can even match it with a sterling silver curve band (shown below) to make this a unique silver bridal wedding ring set or just wear it on its own for its sheer playful beauty. 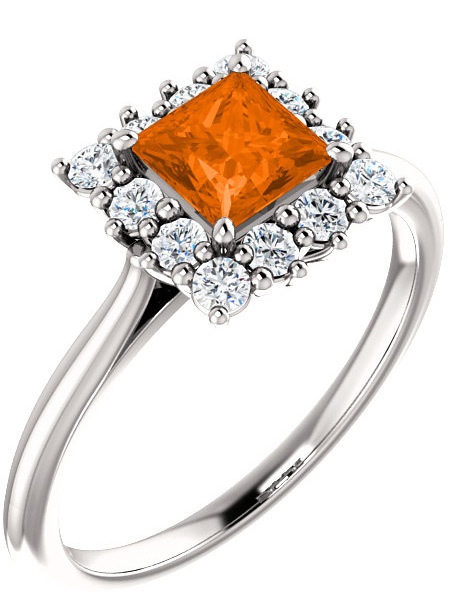 We guarantee our Orange Poppy Topaz Sterling Silver Halo Ring to be high quality, authentic jewelry, as described above.